A writer hating on writing?!? Madness! No, this is just an opinion of someone that has been writing a while and devoted a life to doing so. Never fear, I don’t hate just to hate, but I have valid reasons. Seriously, I do. Stick around and I’ll tell you why I think NaNoWriMo is awful in some ways, and really quite nice in others. 1. A book, at least most of them, take time to develop properly. Trying to force one out in a month is giving birth to something premature, and usually, hideous. 2. Writing a book isn’t a race. I don’t think Hemingway ever went around challenging other authors to a ‘who can write a book first’ race. Or maybe he did…but he probably didn’t. 3. Writing a book isn’t just sitting down and slamming out words as fast as possible. It’s a long process. Whether it starts with an outline or an idea, it takes time to develop. Rushing something will only give you, well, number one on the list. 4. The marketplace is already flooded with poor quality books, and quite frankly (yes, I know this comes off as horribly mean), it doesn’t need more self-published books that shift tense every other paragraph and have characters flatter than twenty week old soda. 5. It spawns the idea in people’s heads that, yes they too, can write a great novel and be published. Let me elaborate on this last point. I’m all for people realizing their dreams and wanting to write. If I wasn’t, well, I would be one hell of a hypocrite. I love to see when people know they need to write, and set off on the long and arduous journey that begins this. NaNoWriMo, however, skips this journey. Many people that don’t have the slightest idea how to start writing, begin to do so and think they have become real authors that can either self publish or start submitting places. Cruel, I know, but first think of this analogy. You get Wii Sports and start playing the tennis. It’s fun! Great! After a couple weeks, you start to think, “Hell, why not just be a pro tennis player. I’m sure I could beat Nadal, just look at how great I am at this game!” Of course, the minute you would try to go play in any pro tournament, you would be laughed at, repeatedly, and rightfully so. A game isn’t going to teach you to play a sport as complicated and intricate as tennis. And neither is sitting down and throwing down some words at break neck speeds going to teach you to be a writer. Learning to write takes years of patience, years of writing, years of reading, years of hard work and pain. Writing a book in a month, however liberating and fun it may be, isn’t going to help you become the next great author. Even though I have said these horrible things about NaNoWriMo, it’s not entirely bad. As a game, something fun to do, then really it’s fine. Even for an experienced author who already had an idea in mind and wants to write with some motivation, it’s great too. However, when the race against the time starts to impede the writing, then it once again turns into a hindrance. 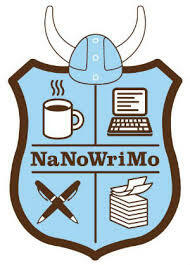 So treat NaNoWriMo for what it is: a fun (not serious) thing to do. As life gets busier and busier, the blog becomes more and more forgotten. But not totally! Not yet anyways… So for this week, another paragraph to a story that I hope the constant readers haven’t completely forgotten about.